805 million people in the world do not have enough food. The vast majority live in developing countries, where one in six children are underweight. This reflects huge inequalities and political failures to protect and deliver on the most basic of human rights, the right to food. Climate change is also a fundamental challenge and a daily reality for communities in many developing countries. It massively impacts their ability to access enough water or grow enough food to survive, let alone thrive. 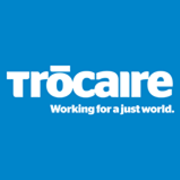 Trócaire provides humanitarian assistance and long-term support to communities in 20 countries across Africa, Asia, Latin America and the Middle East. Last year, 2.4 million people directly benefited from our overseas programmes. In Ireland, we raise awareness about the root causes of poverty and inequality, and campaign on justice issues.